If you leave the Reading Room with your laptop or log out from our network, you will no longer be able to see the copyrighted images. Under copyright law, we don’t have the right to publish these objects to the Web. Until now, we have only been publishing a thumbnail image, which is permitted as it is a small excerpt of a work. We are allowed to make the objects available in the Reading Room, in the same way we can bring a copyrighted item out from storage for you to view. 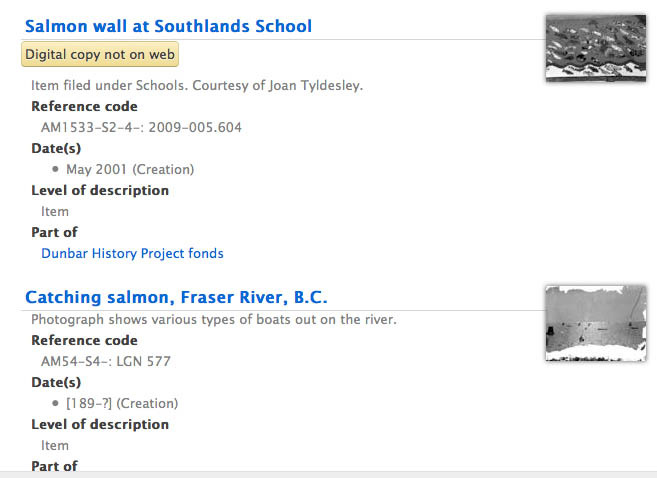 Making them accessible through the search system is fast and easy for both staff and researchers. We already allow you to make copies—with your camera, or using the microfilm printer—of materials under third-party copyright for fair dealing purposes. This also applies to the copies of digital objects we provide in our search system. 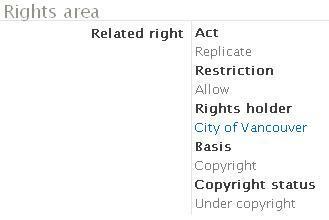 You are responsible for getting the permission of the copyright holder for uses other than fair dealing. 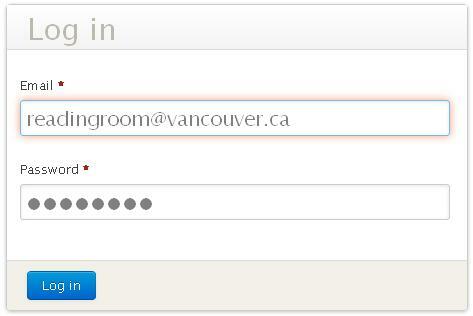 So go ahead and email them to yourself, or copy them to a USB drive! 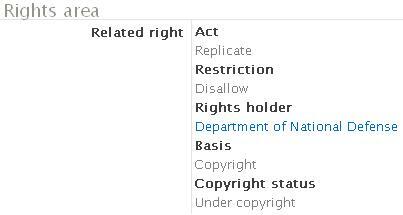 Under the old system, you couldn’t see any materials under third-party copyright online. 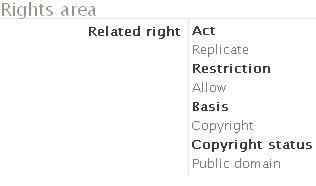 Now you have to be aware of which materials may be freely re-used and which ones require permission of the copyright owner. 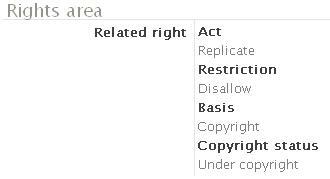 The description for each digital object in our system will display what we know about its copyright status in the Rights Area. Here’s a quick guide to what you’ll see. This item is presumed to be under copyright but the owner of the copyright is unknown to us. You may be able to determine the owner with some research. It may only legally be re-used for fair dealing purposes. We received feedback that it was frustrating to be tempted by an interesting thumbnail on a list of results only to click through to find that the digital object was not viewable online. We’ve added some language to fix this. If it says “Digital copy not on web”, then you won’t be able to view the digital object at home. You will still be able to see a more detailed description of the object if you click through to the single description. The appearance varies with the browser and operating system. It’s yellow in Firefox on a Mac. We hope these two changes make your research more efficient. As always, we welcome feedback. This entry was posted in Digital Archives, Holdings, Reading Room and tagged searching. Bookmark the permalink. Excellent news. Thanks so much for all your efforts! Hooray! Party at VanArchives! Everyone invited!